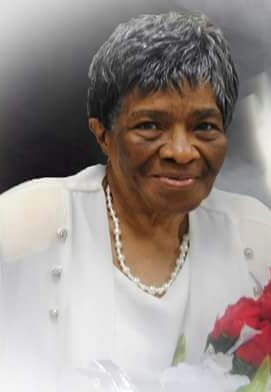 Funeral services for Ms. Beulah Harris age 90 of Americus, Georgia will be held on Wednesday, August 3, 2016 at 11:00 A.M. in the Chapel of West’s Mortuary. 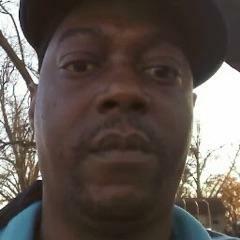 Ms. Harris died on Friday, July 29, 2016 at Phoebe-Sumter Medical Center in Americus, GA.
A Memorial service for Mr. Kevin Lloyd, age 50, of Montezuma, Georgia will be held Wednesday, August 3, 2016 at 11:00 a.m. at the A.M. Fields Center in Montezuma, Georgia. Kevin Lloyd was born on February 9, 1966 in Montezuma, Georgia to the late Shirley Lloyd and the late Ted Green. He was the grandson of the late Bessie Mallard and the late Laura Walker. Kevin grew up in Montezuma and attended the public schools of Macon County. He was a 1986 graduate of D.F. Douglass High School in Montezuma, Georgia. Mr. Lloyd worked for ten years with Lewis Textile in Atlanta, Georgia before moving back home to Montezuma in 2001. He was employed at Perdue in Perry, Georgia until health forced him to leave in 2007. Kevin passed away on Saturday, August 27, 2016 at Phoebe Putney Memorial Hospital in Albany, Georgia. He leaves behind his wife, Wyvette Simpson-Lloyd of eighteen years; eight children: Brittney Johnson of Columbus, GA, Thamir Simpson of Warner Robins, GA, Daveyiale Howard of Indiana, Kevin Lloyd, Jr., Kelvin Lloyd and Rochelle McCoy of Atlanta, GA, Tevin Lloyd and Tekal Lloyd of Montezuma, GA; grandchildren: Markel Simpson, Zariya Lloyd, Christian Ellison, Madison Lloyd and Alijah Howard; three brothers: Ronnie Lloyd of Atlanta, GA, William (Lisa) Lloyd of Indianapolis, IN, and Jeffery Smith of Montezuma, GA; one sister, Cheryl (Jakie) Hayward of Brooklyn, NY; aunts: Eliza (Thomas) Sanders, Elsie Allen, Connie Walker, Betty Solomon, Betty Collier and Greta Greene; great aunt, Dorothy Beal; brothers-in-law and sisters-in-law: Darrin (Vivian) Simpson, Ronald (Kesha) Simpson, Terence Simpson, John Walker, Willie Quinn, Archie Simpson, Richard Simpson, Veronica (Clifton) Holston, Chevette Walker, Carolyn Griggs, Carol Walker and Sharon (Jim) Gary; his niece, Dinisha; his nephews: William and Warren; devoted friends: Keith Everette, Timothy Kaigler, Johnny Kaigler, Harry Wilson, Andy Thompson, Jackie Barrett, Anthony Thompson and Carlos Givens; a host of other loving relatives and friends. 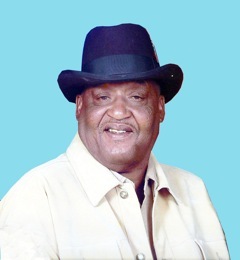 Mr. Samuel Smith, Sr. of Americus, Georgia died on Saturday, July 23, 2016 at his home. 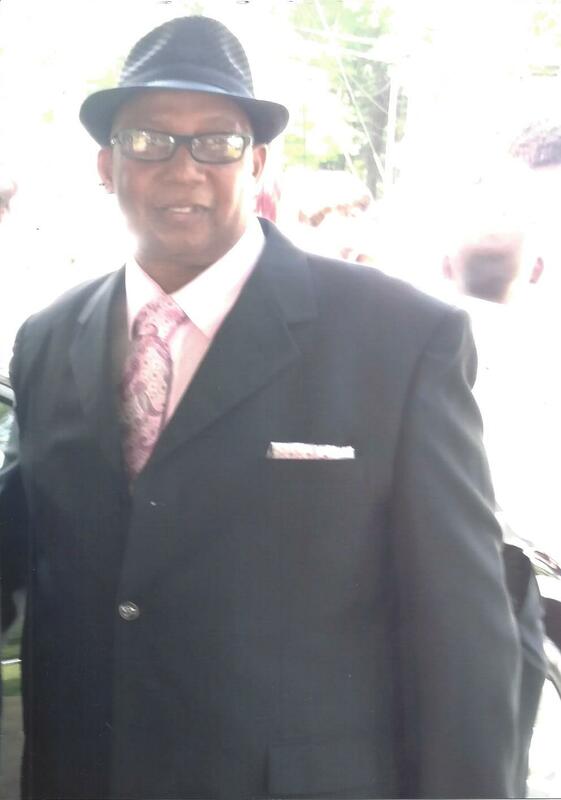 Funeral services will be held on Saturday, July 30, 2016 at 2:30 at the Friendship Baptist Church on Cotton Ave in Americus, Georgia where Bishop Melvin McCluster is the Pastor. Rev. George Edge of Restoration Church of Americus will officiate. Burial will follow at the Eastview Cemetery. At an early age, Sam accepted Jesus Christ as his personal savior and joined the Ebenezer Baptist Church, Americus, GA. Eight years ago he joined the fellowship of Restoration Church of Americus under the leadership of Pastor George Edge. He was a faithful member until his health and the health of his mother begin to fail. Sam was employed with Excel, Davidson Rubber Company and Hickory Springs. He was a truck driver and was also employed at Eaton formerly known as Cooper Lighting. He leaves to cherish his memories one son Samuel Smith, Jr. and two girls that he loved and cherished as his daughters Ekeathia Roberts and Sarah Smith all of Americus, GA; four siblings Jessie L. (Willette) Smith, Jr., Joseph Smith, Sr., Willie Frank (Leisha) Smith, Sr. and John E. Smith, Sr. all of Americus, GA; aunts and uncles: Mrs. Edna (Jessie) Hayes, Ms. Catherine Hill, all of Atlanta, GA, Mrs. Irene (Willie) Reddick of Blakely, GA, Ms. Annie Ruth Davis of Americus, GA, Ms. Georgia Child of New Brighton, PA, Mr. Charlie Hill, Mr. Alphonza Hill of Andersonville, GA, Mr. Bernard Hill and Mr. Jimmy Little of Americus, GA; a host of nieces, nephews, cousins, other relatives and friends. Also left to cherish his memory are devoted cousins: Brenda Epps, Dorothy Patterson, Donald Ware, Desmond Clark and close friends: Jerry Greene, Dottie Tookes, Sammie Mitchell, Beulah Angry, Tityana Cannon, Tawana Streeter, Wilkeria Sirmons, and Sharronna Wyckoff; special caregivers Mary Clark and Phoebe-Sumter Hospice. The family will receive friends at the home of Jessie and Willette Smith at 105 Falcon Drive. Funeral Services for Mrs. Becky Mae Cochran will be held Monday, July 25, 2016 at 1:00 at First United Holiness Church, 324 Engram Street, Montezuma, Georgia. Burial will follow in Champ Waters Cemetery. A time to be Born: Becky Mae Odom Cochran was born May 30, 1932 to the late Tom Odom and Georgia Bell Harris in Montezuma, Georgia. A time for Service: Becky accepted Jesus Christ as her personal savior and joined the band of Christian believers at the Church of God by Faith. A time for Learning: Educated in the public school system of Macon County, Becky attended the historic Flint River Farm School in Montezuma, Georgia. A time for Love: On December 15, 1951 she was united in holy matrimony to the late Frobell Cochran Sr., and to this union they were blessed with fourteen children. A time for Labor: After many years of dedicated service, Becky retired from Southern Frozen Foods. She was very talented; she loved reading the bible and teaching God’s word to whomever would listen. She also enjoyed cooking, writing poems, and singing. A time to Rest: On Thursday, July 21, 2016, God lifted her from all her ailments, pains, and sorrows and granted her eternal rest. 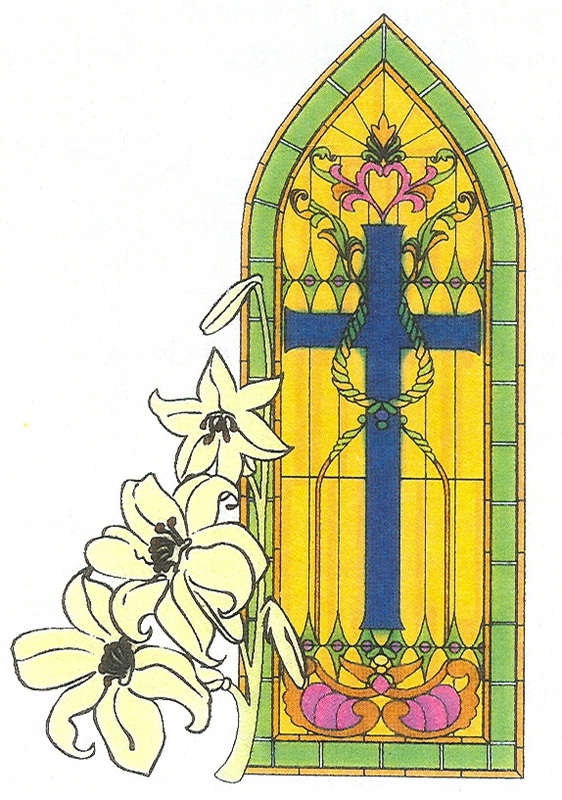 A time to mourn: Becky had one child to precede her in death, Kirk Cochran, Sr. (Rose). Left to cherish her memories are Brenda McKenzie (Elisha), Montezuma, Georgia, Glenda Rogers (Lenorris), Oglethorpe, Georgia, Patricia Cochran, Fort Valley, Georgia, Frobell Cochran Jr. (Corine), Montezuma, Georgia, Sharon Cochran, Fort Valley, Georgia, Ferdinand Cochran, Montezuma, Georgia, Valerie Cochran, Warner Robins, Georgia, Priscilla Cochran Kaigler, Atlanta, Georgia, Daron Cochran (Charlene), Perry, Georgia, James Cochran Sr., Montezuma, Georgia, Felecia Hicks (Gabriel), Americus, Georgia, Becquetta Cochran, East Point, Georgia and Remedios Smith(Andre) Perry, Georgia; Forty-six grandchildren, and one of which she raised as her own, Tuwoski Cochran, Warner Robins, Georgia; Thirty- four great grandchildren; one sister Bernice Johnson, Philadelphia, Pennsylvania; four devoted cousins that were raised as siblings: Willie Mack Miller, Roosevelt Merritt of Detroit, Michigan, the late Rebecca Smith and the late Robert Odom; a host of nieces, nephews, and friends.